Happy Labor Day to all! As Christians, we especially celebrate this weekend because we recognize our labor as something redeemed by Christ. In other words, labor is not just toil and sweat that is a result of our fallen world, but in being redeemed labor also has a salvific effect. Put simply, work done well is good for the soul. There are no bad jobs, only jobs done badly. Let us thank God for the dignity of labor and always strive in our endeavors to do the best job possible with the talents God has given us! 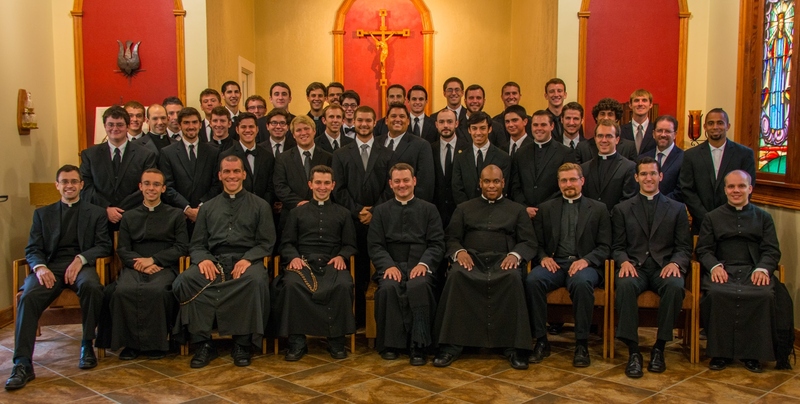 Below you will find the announcement for our annual Lt. Fr. Joseph VerbisLafleur Memorial Mass next Saturday at 10:30am. I hope you are able to attend. 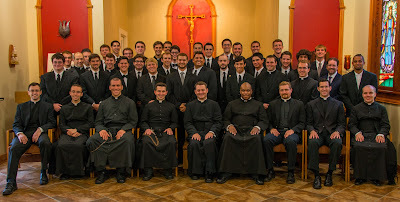 The ‘Friends of Lt. Fr. Lafleur’ request your presence to commemorate the 69th Anniversary of the death of Lt. Father Joseph Verbis Lafleur, Chaplain-United States Army Air Corps, on Saturday, September 7, 2013 at 10:30am Mass at St. Landry Catholic Church, Opelousas, LA. The Celebrant and Homilist will be Very Rev. James A. Wehner, S.T.D., Rector/President of Notre Dame Seminary, New Orleans, LA. Joseph Verbis Lafleur was born in the Louisiana town of Ville Platte on January 24, 1912. Later, he would move with his family to nearby Opelousas, where he faithfully served as an altar boy at St. Landry Church during his youth; and where he also celebrated his first Solemn Mass following his ordination to the priesthood for the Diocese of Lafayette in 1938. Fr. Lafleur’s first and only diocesan assignment was to St. Mary Magdalen Church in Abbeville but he soon joined the U.S. Army Air Corps and was sent to serve at Clark Field in the Philippine Islands before the United States entered the War. During his service, Father Lafleur was awarded the Distinguished Service Cross, Purple Heart, and Bronze star for his valor. He was taken as a prisoner of war by the Japanese, and on September 7, 1944, he and several hundred other prisoners were killed when the ship upon which they were being transported was torpedoed. Father Lafleur's body was never recovered, but memories of survivors report that he was last seen aiding others to escape the sinking ship. The year 2013 marks the 69th anniversary of his death. All are invited and encouraged to attend the Memorial Mass on September 7th. Learn more about Father Lafleur by visiting http://www.fatherlafleur.org for further information and by purchasing the newly published book "But He Dies Not” available in Catholic bookstores in Lafayette. The bulletin for the week of September 01, 2013 has been posted. Click here to see it. The current week's homily is available on a link on the front page of the website next to the link for the current week's bulletin. On the page with the prior bulletins, the corresponding homily will be sitting side by side with its bulletin. We started on the anniversary of the start of the Catholic Church, Pentecost Sunday --- four years ago. This week, the Twenty First Sunday in Ordinary Time, is our two hundred seventy eighth!! podcast to be posted. The homily is given by Father James Brady. This week, we are happy to welcome Deacon Dwayne Joubert to full-time ministry in our parish! Obviously, Deacon Joubert has been very active in his ministry as a deacon since his ordination to the diaconate last year, and as a lay member of our church parish prior to that time. However, he now will be employed full-time in service to St. Landry. Deacon Joubert and his wife, Mary, and daughter, Sarah are Opelousas natives and long time active parishioners here at St. Landry. Please keep them in your prayers as they make this transition. Deacon Joubert will continue to minister in the same manner as he has in the past, that is, liturgical coordination, altar server training and scheduling, youth group coordination, and the myriad of other functions he volunteered to do for our church. In addition, he will now be the coordinator for our cemetery re-organization. The goal of the cemetery re-organization is to provide long term financial stability for the cemetery, while at the same time preserving its beauty and historical heritage. He will work with me as well as the Cemetery Committee to achieve this goal. It will be a time intensive task, and we thank Deacon Joubert for being willing to undertake it. The ability to hire Deacon Joubert is directly due to the generosity of Joseph Wyble, a parishioner of St. Landry Church who moved away as a young man some 60 years ago, but never forgot his home. He recently passed away and left a substantial donation in his estate for the maintenance of the cemetery. Let us thank God for Mr. Wyble's generosity, and remember him and his family in our prayers! The bulletin for the week of August 25, 2013 has been posted. Click here to see it. The current week's homily is available on a link on the front page of the website next to the link for the current week's bulletin. On the page with the prior bulletins, the corresponding homily will be sitting side by side with its bulletin. We started on the anniversary of the start of the Catholic Church, Pentecost Sunday --- four years ago. This week, the Twentieth Sunday in Ordinary Time, is our two hundred seventy seventh!! podcast to be posted. The homily is given by Father Andrew Moses from Papua/New Guinea. You can read details about his work there by reading the pastor's corner here. Our servers participated in their annual "in service" Saturday morning! After a few hours of prayer and training, the group headed outside for grilled burgers and hotdogs. A good time was had by all! This week, Fr. Andrew Moses from the Diocese of Daru-Kiunga in Papua New Guinea will be speaking at all masses here at St. Landry. Fr. Jose is seeking support for his diocese as a part of our diocesan mission program. We recall in our generosity towards our brothers and sisters in need that we are a Universal Church and remain in solidarity with Catholics all across the world, especially in our works of charity. This weekend we welcome Fr. Jose and open our hearts to the support of the work that he does! Below please find information on the mission provided by Fr. Jose. The country of Papua New Guinea is a cluster of islands located south of the equator to the north of Australia and to the east of Indonesia. The Diocese of Daru-Kiunga is one of the 18 Catholic dioceses in this country and covers the entire state of Western Province. The geography of this massive area of approximately 42,000 sq. miles is most challenging: swamps, lakes, rivers and mountains most of which are dense tropical forests cover the area. As the country is close to the equator it is very hot and humid throughout the year. The tribal people, of Melanesian race, came in contact with the external world when Montfort Missionaries from Canada arrived in the late 1950’s. Since then the Church in this remote and undeveloped part of the world has brought faith, health and education to the people. Today the Catholic population is around 40,000 and makes up approximately 42% of the total population of the state. The church began its work in the remote villages by establishing schools and primary health clinics which gave brought considerable improvement in the quality of life of the people. To this day it is the diocese that provides basic health and educational needs of the people, in the absence of such services from the government. The area has few transportation facilities and depends on small planes to transport essential medical supplies and other necessities. In the absence of telephones, electricity and roads our only means of communication between parishes and the diocesan headquarters is two way radios. A very vibrant and energetic Church has emerged here over the past 40 years due to the hard work of the innumerable missionaries, some of whom have given their entire working years in the service of these simple, yet happy and welcoming people. Having emerged in the post Vatican period, the diocese promotes the Spirituality of Communion among all its faithful thus involving them in the decision making from the grassroots level. One of the main challenges before the diocese is to raise enough funds to continue all these services in the formation of faith as well as other humanitarian and developmental activities. It is with the help of Catholics from Canada, the United States and Germany that the diocese has been able to accomplish so much over these years. Fr. Jose K. Jacob SMM. The bulletin for the week of August 18, 2013 has been posted. Click here to see it. This week we celebrate the Solemnity of the Assumption of our Blessed Mother on Thursday, August 15. In the Assumption, we celebrate our Blessed Mother being taken up to heaven body and soul, a day which we ourselves look forward to at the Second Coming. It is a holy day of obligation, meaning that we are obligated to attend Mass that day just as if it were Sunday. We have a special mass schedule for that day, beginning with a vigil mass on Wednesday, August 14 at 5:30pm. Masses on Thursday will be at 8:40am (school mass), 12:05pm and 5:30pm. In celebration of this holy day, our offices will be closed Thursday and Friday. In addition, school starts this week and we welcome back all the students, faculty and staff at Opelousas Catholic. We also pray for students, teachers and staff at other schools or who are schooled at home. The beginning of the school year brings excitement to all as we think of our young people continuing the journey of their education, not only an education in academics, but also their growth in faith and human maturity. Of course, they are growing physically, and it always amazes me how much our children grow each summer! As we begin this school year, let us pray that our children and teachers have a safe and successful school year, developing the talents given to them for use in service to God and neighbor. May they, and we, continue to grow in religious maturity, that is, in the growth of faith, hope and charity over the coming nine months. The bulletin for the week of August 11, 2013 has been posted. Click here to see it. The current week's homily is available on a link on the front page of the website next to the link for the current week's bulletin. On the page with the prior bulletins, the corresponding homily will be sitting side by side with its bulletin. We started on the anniversary of the start of the Catholic Church, Pentecost Sunday --- four years ago. This week, the Eighteenth Sunday in Ordinary Time, is our two hundred seventy sixth!! podcast to be posted. The homily is given by Father James Brady. In our homily last week, we discussed Pope Francis’ emphasis on proclaiming the Good News of God's Mercy in the forgiveness of our sins. In order to receive God's Mercy, we must first realize our own need for mercy. In that regard, we must first acknowledge that we are all sinners (if we were not sinners, then why the need for His mercy?) and repent. Pope Francis himself acknowledges his own sinfulness and need for continued repentance in his own life. With repentance (meaning sorrow for our sins and the desire to not sin again), God's Mercy is available to all, regardless of what we have done in the past. God's memory is short for the truly repentant. That indeed is good news!! Pope Francis has emphasized from the beginning of his papacy our relationship with each other in light of God's Mercy towards each of us individually. This mercy is modeled for us by the life of Jesus. As recipients of God's Mercy, we must be merciful toward each other and are commanded to love each other, just as Jesus did, truly seeking good for each other by being selfless in our lives. For ourselves, we must remember that in our relationship with each other, our love (or charity) should not be conditioned on the "goodness" we perceive in others, any more than God's love for us is conditioned on perceived "goodness." In other words, true charity is unconditional in this respect. Imitating God's Love is indeed a tall order for Christians, especially in our society, which at times is quite unforgiving and unmerciful. It is easy to slip into the thought process of being charitable (or not) because of the perceived "worthiness" of the recipient. While fulfilling our family or societal obligations, our available resources or prudence may certainly impact our decisions on how to be charitable toward one another, the perceived "worthiness" of the recipient should not if we are going to truly imitate Christ. Let us all renew our dedication to love as Jesus did! The bulletin for the week of July 28, 2013 has been posted. Click here to see it.